I've always loved Body Shop products but had never purchased any of their Lip Butters before (at least not for myself - I find they make great little add-ons to birthday and Christmas presents!) so a few months ago I decided to pick one up. The first Lip Butter I chose was the Mango pot, which at the time I bought with the Mango Body Butter. Both of these smell lovely and fruity. They have such a summery, fresh, scent and the Lip Butter quickly replaced the little tin of Aloe Vera Vaseline in my handbag as my go-to item for sore or dry lips (I still love you though, Vaseline). I find the Lip Butters are a lovely smooth consistency, smell amazing and do not leave your lips looking ridiculously shiny. They also make a great base for lipstick - I tend to put some on about 10 or 15 minutes before I apply my lipstick to let the butter sink in a bit and moisturise beforehand! I was given the Chocomania Lip Butter as a gift by a lovely friend of mine who basically gave me a Body Shop hamper for my birthday (amazing!) and it smells fantastic. It's so delicious and really reminds me of chocolate cake, so much so that I don't choose this to wear as often as the others in case it makes me hungry! The Blueberry Lip Butter is from a range The Body Shop have only brought back recently. Apparently the Blueberry products were discontinued for a while, so I'm very glad they bought these back as I wasn't previously aware they existed! Again, this Lip Butter smells fab. It's not necessarily a blueberry scent but it is very sweet and gorgeous. If sweet scents aren't your cup of tea then maybe give this one a miss. The most recent pot I bought was the Strawberry version. I've always thought of the Strawberry products as a Body Shop classic (perhaps because the body butter in this range was the first thing I ever tried) and the smell brings back fond memories, however this is another scent that is a little sickly sweet. It's the kind of strawberry scent that reminds you of medicine, which you may love or hate. Its definitely hard to pick a favorite but I have become really addicted to the Blueberry Lip Butter and I still can't get over the smell of Chocomania! One I would still really like to try is Coconut - let me know if you've used this one and how you found it :D I have the Coconut Cream Body Scrub and it smells wonderful like ice cream! 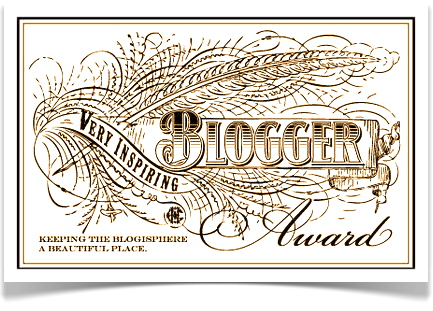 Really like your blog so i have nominated you for the Liebster award!